This first appeared January 16, 2018 on MedPage Today. Communication is the cornerstone of good healthcare. Despite all the external challenges we face with the system in which we work, those few minutes we spend with patients and their families are precious — and are what we will be remembered for. We, therefore, owe it to our patients to be at our very best and to make them the absolute center of our world for that time. Few things could be more important for a physician than being a good communicator. Communication is, after all, a science — and it’s an area that I am personally very passionate about. I have been honored to give many presentations on this subject and even one-on-one coaching to my fellow physicians. It simply is not taught enough in medical schools. To be honest, though, I do not believe there is any teaching in the world that could ever turn a poor communicator into a great one (just being brutally honest). 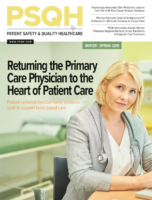 However, there is a huge amount that any physician — or for that matter any professional — can do to greatly enhance their communication techniques. 2. I am not in a hurry. Working as a physician is one of the most hectic, unpredictable and high-pressure jobs. The reality is that any doctor is always going to be hurried and have a million and one things to do. However, doctors should strive to never allow their non-verbal behavior to project this to their patients. 3. I am not motivated by money. I was at a party recently and was talking to another guest who had suffered an orthopedic problem. He went to see a specialist in upstate New York and came out of the appointment convinced that the orthopedic surgeon was trying to be as interventional as possible “to make money.” I’ve actually heard patients make comments like this to me before, worried that their doctor is trying to “make money off them” by doing more tests. I cannot speak about whether these allegations were true or not, but clearly, the patient came out of the appointment thinking that. We can get into a debate about healthcare systems (and I’m certainly no fan of heavily centralized socialized medicine) — but at the other end of the spectrum, it’s terrible if any physician is purely motivated financially or for any reason projects this to their patients. The absolute last thing a doctor should be communicating is that they are driven by money.